It´s so small. The Nikon 8x30 E2 (left) has the same objective size (30mm), but the rest is considerably bigger than in the EDX fieldstar. Which one would you buy looking for a compact glass? Which one would you buy looking for an uncompromised compact glass? 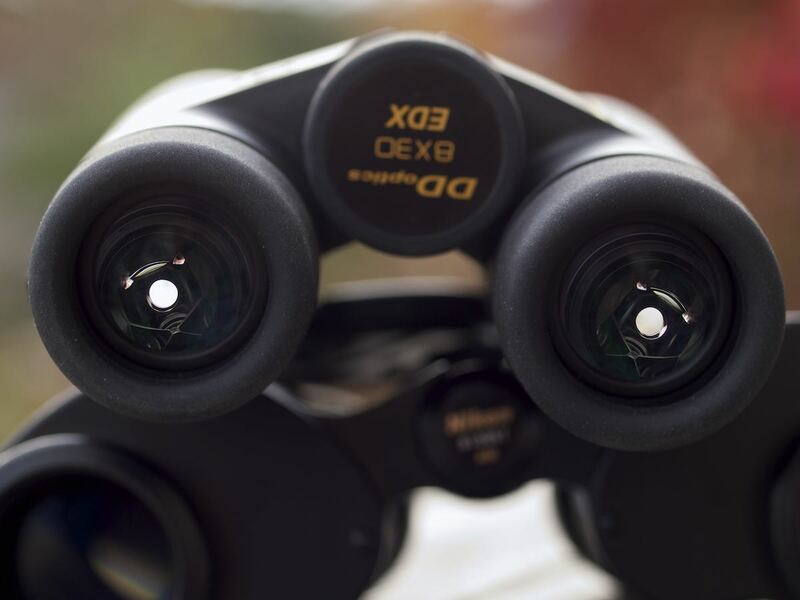 DDOptics is a German company from Dresden that develops, produces and distributes binoculars and other optical devices, they claim mainly in collaboration with German and Japanese partners. Their website is only available in German. 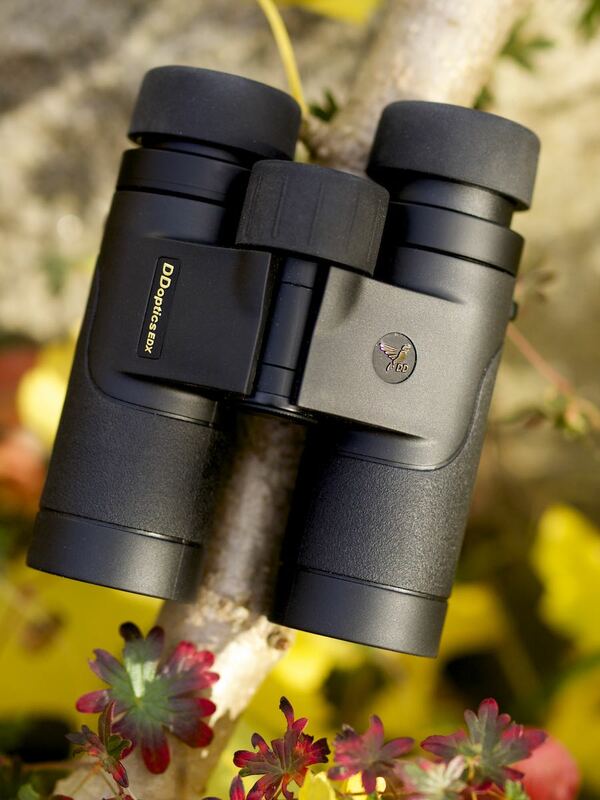 Amazingly, they offer a 30 year guarantee for their binoculars, and seem to have a pragmatic approach - high quality without the costs involved in buying from renowned brands. I was surprised by the good view of some of their big hunting binoculars with AK prisms and middle class price labels when I had a short glance through them recently. 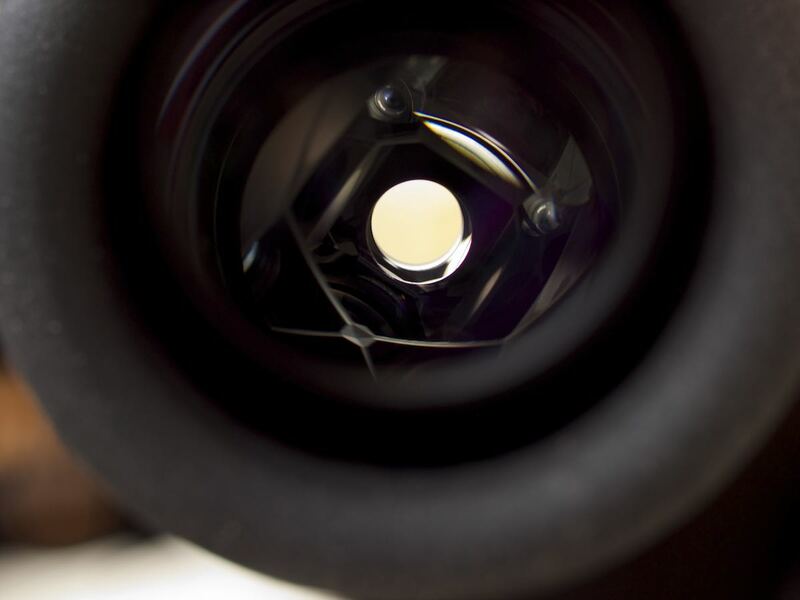 The DDOptics EDX Fieldstar 8x30 has spectacular specs on paper: 150.5m field of view, 460g weight, 1.2m close focus, ED glass, and latest dielectric coatings of the prisms. It seems to basically be the same glass as the Kite Lynx 8x30. The price is around 587 Euro, higher than the Kite, but I would happily pay that for better quality control. The build quality is good, with nice friction of the bridge, a good focuser and even a tripod mount thread. The lens coatings look fine, with green, pink, magenta and yellow reflections. First impression: The image looks very crisp with sparkling colours, a nice surprise, so ED glass and coatings work well. But then, the laws of physics and of binocular construction take their heavy toll. These bins are way too small to be able to offer a view this wide that could be enjoyed with acceptable ease of view. They should probably rather be compared to 8x25 compact glasses than to fully usable 8x30 glasses like the Nikon E2. Their main aim is compactness. This is not a bad thing, but do not expect wonders of any kind. 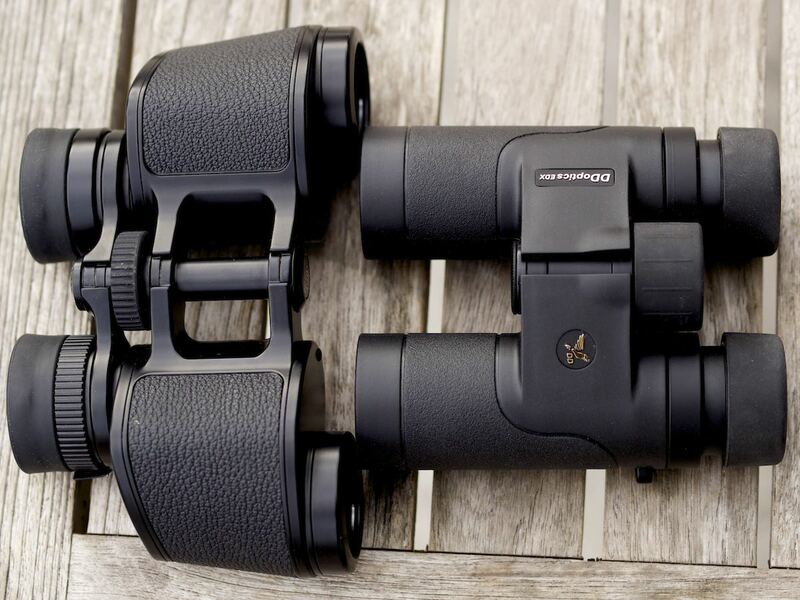 Unbaffled optical systems can be part of a balanced performance, as Swarovski has shown, but it does not work well in this binocular. 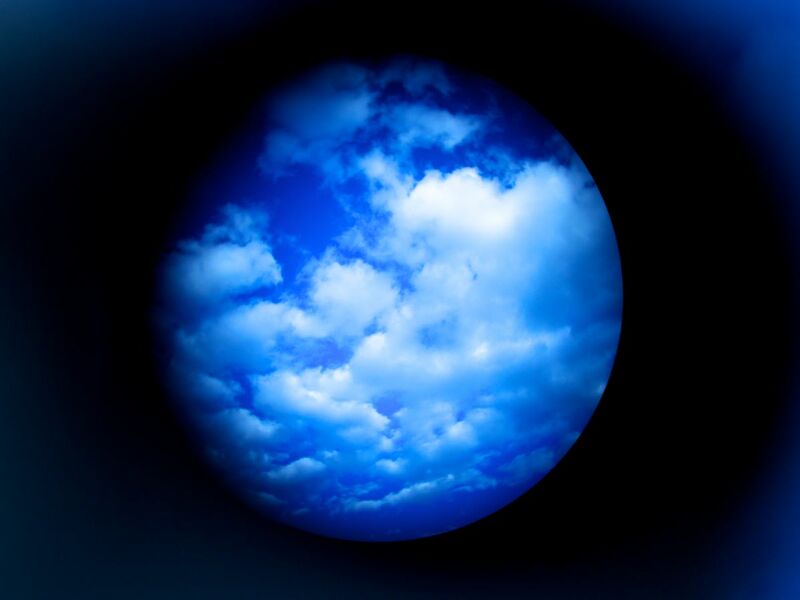 Although collimation is good, ease of view is bad, making this glass problematic for long observation periods. For a short look now and then this might be acceptible. I attribute the eyestrain to the wide field of view which although obviously technical possible is not reasonable in a glass with a 3.75mm exit pupil and reduced size. A field this wide brings hard to correct residual aberrations which will affect the periphery of the field, especially when used with open pupil on a dull day or in twilight. There is a very strong sharpness drop off starting in about the middle of the field. It is so uncommonly strong that it makes panning and tilting uneasy, an effect that is often increased by added peripheral flares. Distortion is a slight pincushion all the way to the edges, so rolling globe is not an issue per se. Flaring is very strong under sunny, backlit conditions and then there is a high base level of veiling glare reducing contrast. The small design leaves little room for internal baffling. The coatings seem very good though, on axis contrast can be great with saturated colours and surprisingly sharp images. On overcast days flare is much less of a problem. A look through the Nikon 8x30 E2, which retails for 499 Euro, is quite literally an eyeopener. The Nikon can be comfortably used under most observation conditions, although flare is a big problem, too, and ease of view is still far from a good 8x42. DDOptics should really try to produce another 8x30/32 design - German quality control and a 30 year guarantee (!!!) will be much appreciated and a higher price compared to other versions of the same model should be acceptable. They might even try a porro design to pursue their quality mission in the most effective way. One good thing about their distribution system is that you can try their binos for three days before you decide to buy them.